Find the perfect knee cold therapy wrap to help relieve your knee pain. Pro-Ice knee wraps come in two different varities, the PI400 Knee Multi-Purpose Wrap and the PI420 Pro Knee Wrap. Both provide excellent ice therapy for the knee. One of the most popular ice wraps on the market today, the Pro Ice Knee Wrap can help relieve knee pain after knee sprain or knee injuries and surgery by providing therapeutic, stage 4 icing to reduce inflammation like a Professional. The wrap comes with compression straps to keep the wrap in place and provide cold therapy compression to the knee. It is also the perfect size of ice pack to use on most any other part of the body... therefore it is a great Universal Ice Wrap. For Relief Of Knee Pain and Swelling. 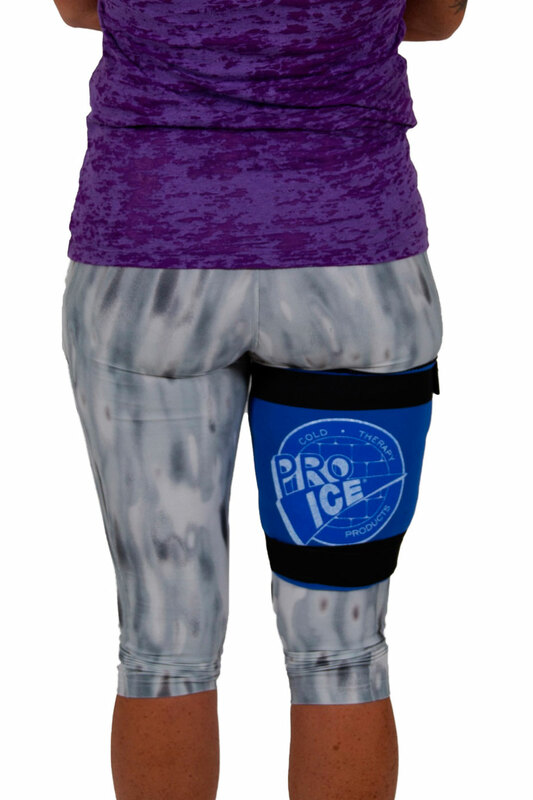 The Pro Ice pi420 knee wrap has twice the ice as the pi400 and is designed for knee use only. This is a heavy duty Knee ice pack with three comprssion straps. Provides up to 2 hours of cold therapy for the knee. Get relief of knee pain and inflammation with the best knee ice wraps on the planet, the Pro Ice Pro Knee Ice Wrap. Instantly Ready For Any Icing Emergency During Practice or During The Game. Includes 4 different ice wraps (shoulder, wrist, knee and elbow) which together, they can be used for most any acute sports injury including sprains and strains. Perfect for Athletic Trainers to have on hand, ready to treat whatever injury may occur.